There were 686 press releases posted in the last 24 hours and 154,036 in the last 365 days. 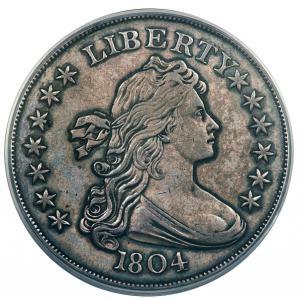 The world-famous 1804 Draped Bust dollar is one of the hobby's most famous rarities and is highly coveted by collectors. For the past three years Dell Loy Hansen has been building a world-class U.S. coin collection to rival the Eliasberg Collection. 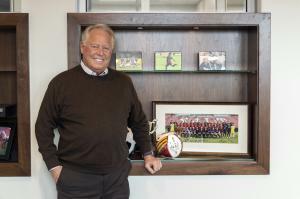 Dell Loy Hansen is a lifelong coin collector, businessman and owner of the Real Salt Lake major league soccer team in Salt Lake City, Utah. David Lawrence Rare Coins, based in Virginia Beach, Va., purchased the coin on behalf of partner Dell Loy Hansen. Known as the King of American coins, it's one of only fifteen known examples. Mr. Hansen is a lifelong coin collector and prominent Salt Lake City businessman. VIRGINIA BEACH, VA., UNITED STATES, July 6, 2018 /EINPresswire.com/ -- VIRGINIA BEACH, Va. – David Lawrence Rare Coins has acquired one of only fifteen known examples of the world-famous 1804 Draped Bust Dollar – known as the “King of American Coins” – on behalf of a partner, Dell Loy Hansen. Mr. Hansen is a lifelong coin collector, businessman and owner of the Real Salt Lake major league soccer team in Salt Lake City, Utah. Mr. Brush added, “With the previous prices from 2008 and 2013 being at $3.7 million and $3.8 million, we felt it would be a bargain if we could purchase the dollar somewhere below the $3 million mark.” The coin had condition going for it; it was graded highly at Proof 62 by PCGS. The 1804 Draped Bust Dollar is one of only eight Class I 1804 dollars. It was struck in the mid-1830s as part of special sets that were given as diplomatic gifts. Known as the Mickley-Hawn-Queller specimen, the piece has a lengthy history that can be traced to 1847 or even longer ago. Historically, the 1804 dollar has long been considered the world’s most valuable coin. However, other contenders have entered the market in recent years, amongst them a 1933 Saint-Gaudens Double Eagle, a coin of dubious legal origin that sold for $7.59 million in 2002. Still, the 1804 dollar is one of the hobby’s most famous rarities and is highly coveted by collectors worldwide. 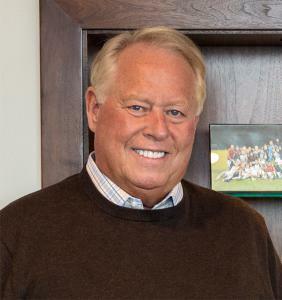 In addition to being a Salt Lake City businessman, owner of the Real Salt Lake and an avid coin collector, Dell Loy Hansen is a partner with John Brush at David Lawrence Rare Coins. For the past three years he has been building a world-class coin cabinet to rival the Eliasberg Collection of U.S. coins. The 1804 dollar coin was an addition many observers thought would elude him. Second only to the National Numismatic Collection at the Smithsonian Institution, the D.L. Hansen Collection now surpasses in quality (according to the PCGS Set Registry) the collection of Louis Eliasberg and is considered by many to be the greatest U.S. coin collection of all time. David Lawrence Rare Coins was founded in 1979 by David Lawrence Feigenbaum, in a spare bedroom. A passionate collector his entire life, he made the jump to dealing when his collecting desires surpassed his limited professor’s budget. David passed away after a long battle with Lou Gehrig’s Disease and David’s son, John Feigenbaum, oversaw the company's growth until 2015. In August of 2015, John became the Publisher of the CDN Publishing and passed operations of David Lawrence Rare Coins to John Brush, who today directs the company with the help of an extremely dedicated staff of 20 employees. The management team has a cumulative total of over 80 years with the company and the team of numismatists has over 100 years of total experience. They are passionate about all aspects of coin collecting. Whether a coin is valued at $5, $50 or $5 million, they are there to serve the collector with the best quality, service, and price possible. Brush and his staff are also focused on bringing the latest technological advances to the hobby. The company has handled many legendary rarities of United States numismatics, including the finest certified 1796 No Pole Liberty Cap Half Cent, two examples of the 1894-S Barber Dime, a gem 1876-CC Twenty Cent Piece, the finest known 1901-S Barber Quarter, three of the twelve known 1870-S Seated Dollars, the historic 1815 $5 Gold Half Eagle, one of the only two known 1825/4 $5 Gold Half Eagles, and the Mickley-Hawn-Queller 1804 Proof Draped Bust Dollar. David Lawrence Rare Coins is an industry leader in the trading and auctioning of U.S. rare coins certified by PCGS, NGC, and CAC. DLRC holds weekly internet auctions and offers sellers the options of direct sale or consignment to auction. To work with David Lawrence or to inquire as to how they can help with a collection, call 1-800-776-0560 or email coins@davidlawrence.com. David Lawrence Rare Coins is located in Virginia Beach, Va., and offers products via their website, trade shows, Amazon, eBay, as well as several other numismatic-related venues.